The Park Authority's RecPAC Summer Camp Program delivered high quality activities and projects in a structured recreation (Rec) program to more than 4,000 ‘Pretty Awesome Children’ (PAC) in the summer of 2018. In a county as wealthy as ours is, it’s hard to believe that 66,681 people live in poverty and 18,857 of those are children under 18! These families must live on less than $24,600 a year and camps are out of their reach. Fortunately, donors help bring many smiles by providing an enriching summer of Recreation (Rec) for these Pretty Awesome Children (PAC)! 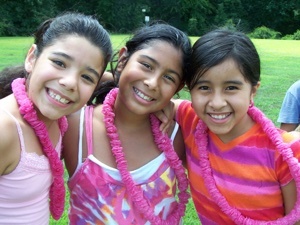 Generous gifts allowed 2,065 children from low income families to attend Rec PAC summer camp last year! More than 10,644 weeks of RecPAC summer camp at 40 school sites were made possible to children in need through the RecPAC scholarship program. RecPAC summer camp spans six weeks and lasts seven hours per day. It provides relief to many working parents and caregivers, who may have no other choice but to leave children at home without supervision. Camp activities include fitness and nutrition, indoor and outdoor games, sports, nature, crafts, talent shows and community service projects. There are even special inclusion sites for children with special needs. The Park Authority provides a safe and supervised summer for young people. Private donations are needed to bolster the program and ensure financial assistance for the neediest kids. You can give a child a week of summer activity for $50 or a full six weeks of summer programming for only $300. 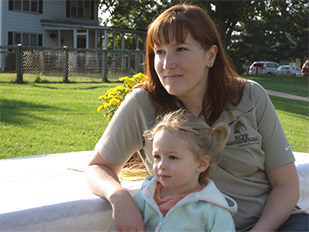 A contribution of $1,000 would provide engaging activities for an entire school site for the summer. On average, over 2,000 attend RecPAC weekly at one of the 40 school sites supervised by more than 300 paid staff. 232 older adolescents, often former campers themselves, participated in the Counselors-in-Training program, helping to support staff and serve as role models. Each participant enrolled all summer long engaged in over 140 hours of rigorous physical activity. Nearly 100% of the children completed nutrition-related activities that included preparing a fitness activity book with exercises, games, food group information and health facts to share with their families. 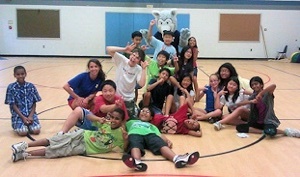 In "RecPAC Gives Back", campers participated in a season-ending finale of community service. They held over 40 school clean ups, planted trees, collected canned food for local charities and organized fundraisers for a variety of local groups. Please make a commitment to the children of our community. Help provide a safe, supervised summer for needy kids. Read the RecPAC appeal letter. Please help us provide low income kids with bright futures and the same summer camp experience as other children. Your contribution will help make camp a reality for these children. The smiles on their faces will be our biggest thank you! "Making bracelets and keychains from gimp."